Wife and the kiddos took a trip out of town to a basketball tournament. Allowing me a wonderful weekend to myself. Luckily, a trip was on the boards that I was able to hop onto. Not a long trip in general but a long trip for this rider that has been out of the loop for a while, since the birth of my son Ian. Sometimes you’re given a chance to ride and one must take them as they come. Even if they are few and far between. Made the mistake of removing my Corbin touring seat with the much cooler looking stock seat with the passenger cowl. Ouch! That may have been my so called punishment. Crisp lower 50 degree morning that warmed up to a nice 75 degree day. 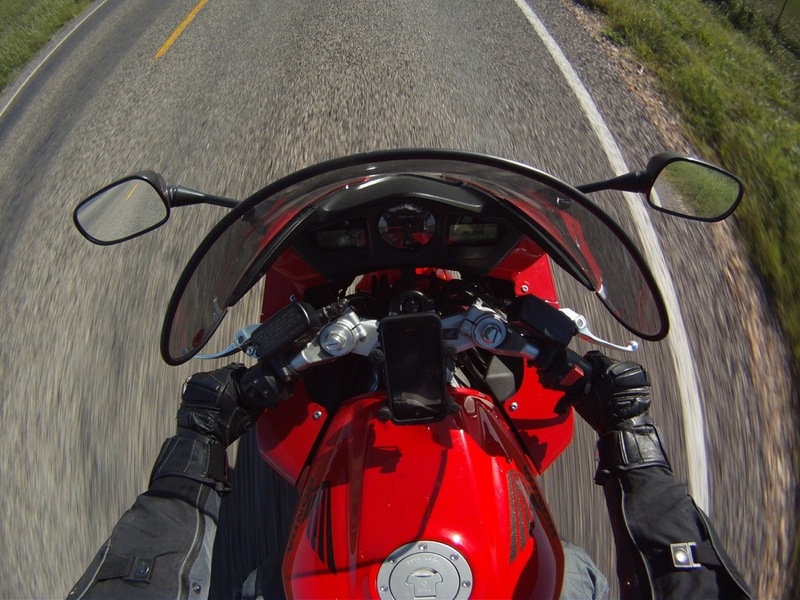 Not chilly for most but this South Texan prefers warmer riding temps. That day was also the day that MotoGp came to Austin, TX. Really wanted to go to that, but one must pick and choose in life no? Our return from College Station, Tx took a different route than earlier. 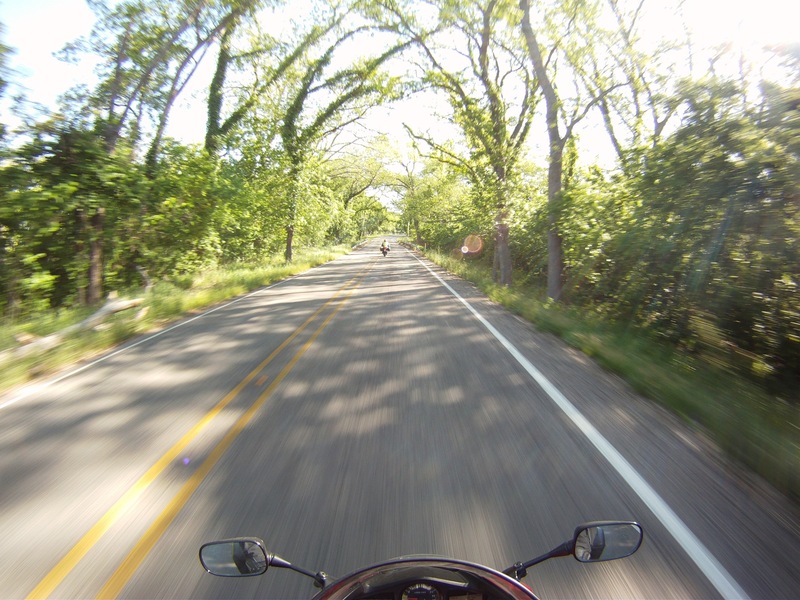 Instead of taking the scenic back farm roads, we were delivered on to the I-30 toll way with 85Mph speed limits. With no surprise, we were met by a lot of sport bikes either commuting to the MotoGP race that was happening just north of us or just enjoying stretching the legs of their bikes. The cruisers that were riding with us that day were left behind by the time we reached our exit to Buda, TX. 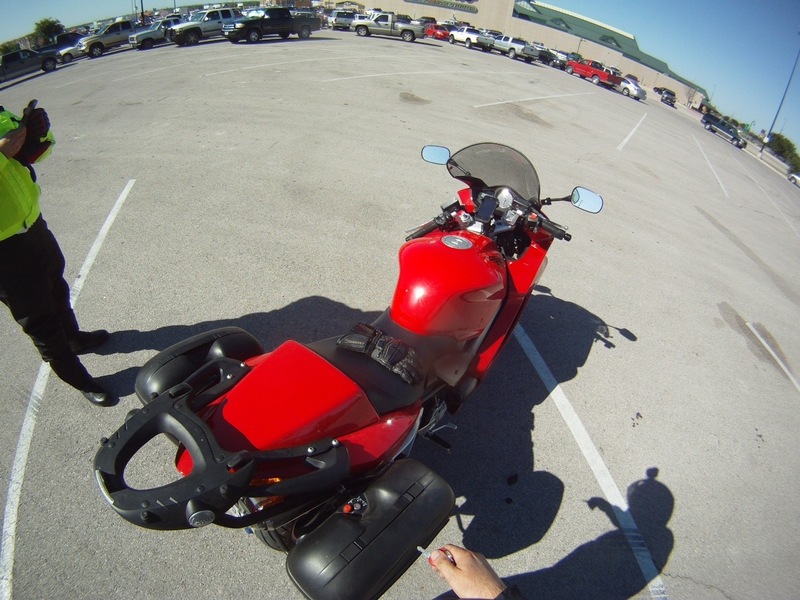 This entry was posted in Rides and tagged College Station, I-30, MotoGp, Vfr800. Bookmark the permalink.